I’ve used my website for many purposes over the years – at first just a place to hang my resume – but lately it has become a place to post some of my writing. In the last year, I’ve written humorous stories about my youthful adventures in Rocket Building and more recently, the thrill of launching Sky Lanterns. As many of you know, in the last few months, I decided to take on an even more ambitious project: a full-length novel. Right now, I am compiling the feedback from my reviewers and incorporating their suggestions as best I can. One thing I have learned about the editing process is that it’s never really done. There will always be things to change and improve. The natural thing to consider at this point is submitting my book to literary agents or publishers to get it published. The more I read, the more I question this assumption. The process of finding a literary agent, who then will try to find a publisher, who will then eventually publish can take a very long time. It is common for this to take two years or longer. What is the alternative? Interestingly, 2/3’s of all the books published in USA are self-published. This is actually a relatively simple process, and it can be done in a matter of hours. 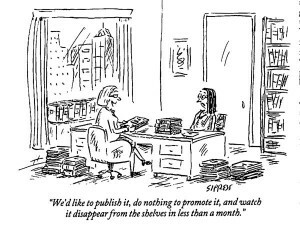 The real challenge is how do you effectively promote your book? How do you tell people about your book when there are 700,000 other books (this year alone!) trying to do the same thing? A very tough question. So I am taking a ‘time out’ while I research the road ahead. Geo Patton said that you need to be audacious…(unrestrained, brazen too). But are you?? I am not sure I am audacious, unrestrained, or brazen. But then, I’m not leading a war effort. I am just writing stories that aren’t true.